Looking around the school, you will notice many of the WSC’s accomplishments and projects underway: a native magnolia grove adjacent to the parking lot, raised beds, a planting space in the kindergarten yard, trees planted around the school perimeter with the help of Philadelphia Tree Tenders, and two native meadows at the front of the school funded by grants from the Schuylkill River Restoration Project and Councilman Jones’s office. The purpose of these projects is to provide outdoor classroom space, manage stormwater (thereby reducing flooding and improving Philadelphia’s drinking water), attract wildlife, and extend the habitat of nearby Fairmount Park. The next project for the group is depaving and redesigning the main schoolyard to manage stormwater as well as create a beautiful, dynamic, sustainable park and play area for the entire community. 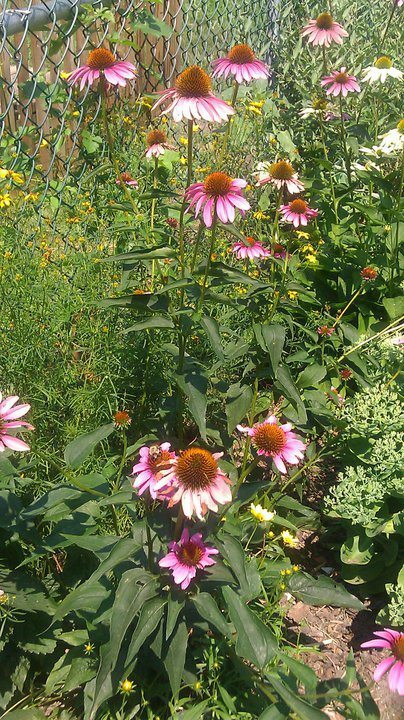 You can contribute to the greening of Cook-Wissahickon by joining the WSC, which meets regularly and cares for the native plants on the school grounds.